We are proud to share that forest engineer Eduardo Carlos Oliveira has recently joined our permanent team in Brazil. Eduardo embraced our mission from the start and is passionate about his work and to make our first reforestation projects a success. Based in the field and guided by BJF’s Ivan Nisida and the scientists of Bioflora/LERF, he will coordinate the important and complex tasks of the ecological restoration of our 6,000 ha pilot project. With the ultimate goal to build and manage our first nurseries, expand our network of stakeholders in the Corridor and plant the first 15.000 native trees this year. 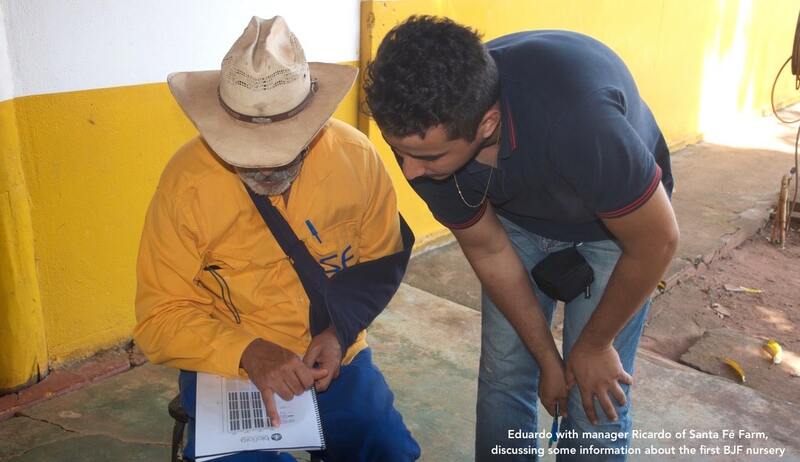 Eduardo has recently relocated himself from Goaiania to Paraíso in Tocantins, close to the BJF corridor zone, and the BJF Pilot Project, and is fully motivated to realize the Araguaia Biodiversity Corridor. He is already successful in creating connections with other landowners and is at the start of creating a BJF landowner’s network. 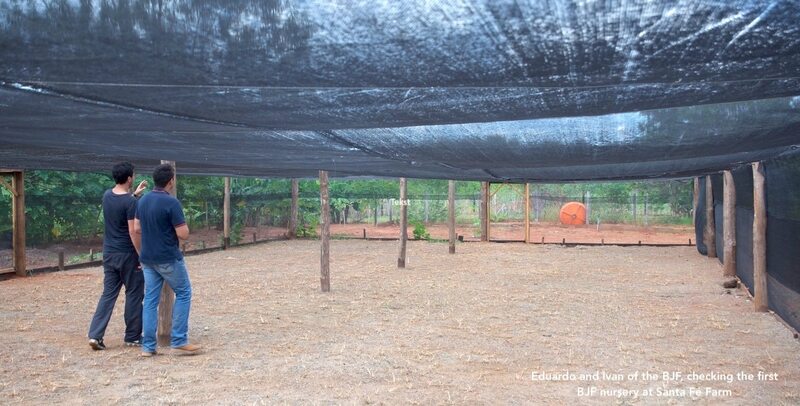 Next to this Eduardo has established a partnership with the University of Goias, for the collection of seeds for certain native trees required wihtin the first 2 nurseries. At the same time he has written a report with the experienced scientists of Bioflora and LERF about Ecological Restoration in the area. With his positive energy and big smile he is able to motivate the people he works with in a productive way. At the same time he is very knowledgeable and passionate about his work and life as a Forest Engineer. Point at any tree and he will know all about it! Right now Eduardo is managing the building of the 2nd nursery and the implementation fo the first one. The first of many seeds have been collected and identified to be useful in the nurseries, where Eduardo will guide the process of seedling production, and finally trees. He will keep you updated on his important work and what is happening in the field. We look forward to share with you more action pictures of Eduardo in the future!